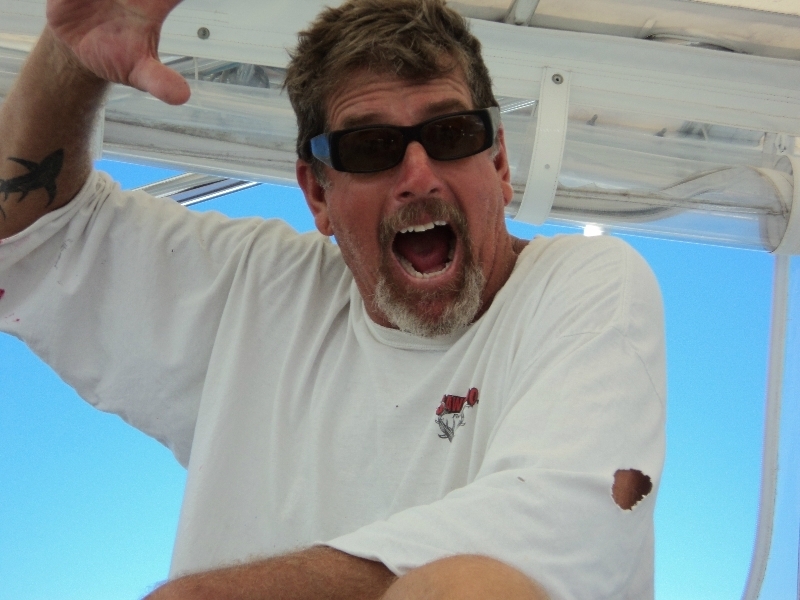 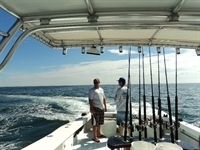 Offshore fishing charter on Jaws Too with Capt Dave Mistretta out of Indian Rocks Beach. 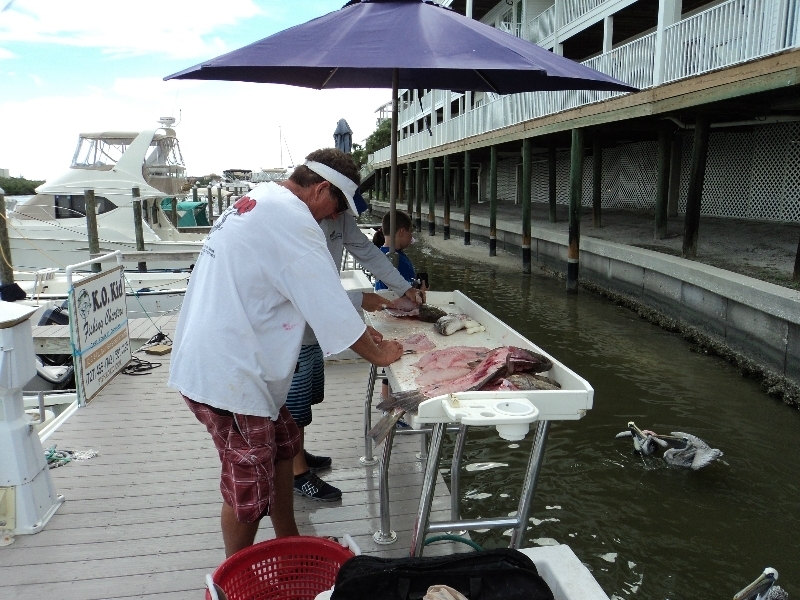 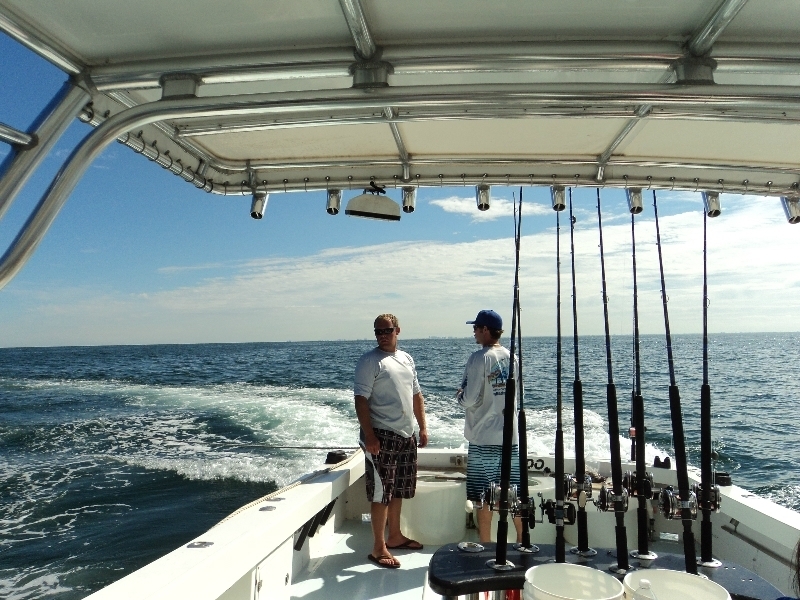 Went on a chartered trip with some friends on Jaws Too with Capt Dave Mistretta. Left around 8:15, kids had a blast catching bait. 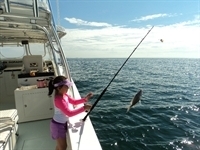 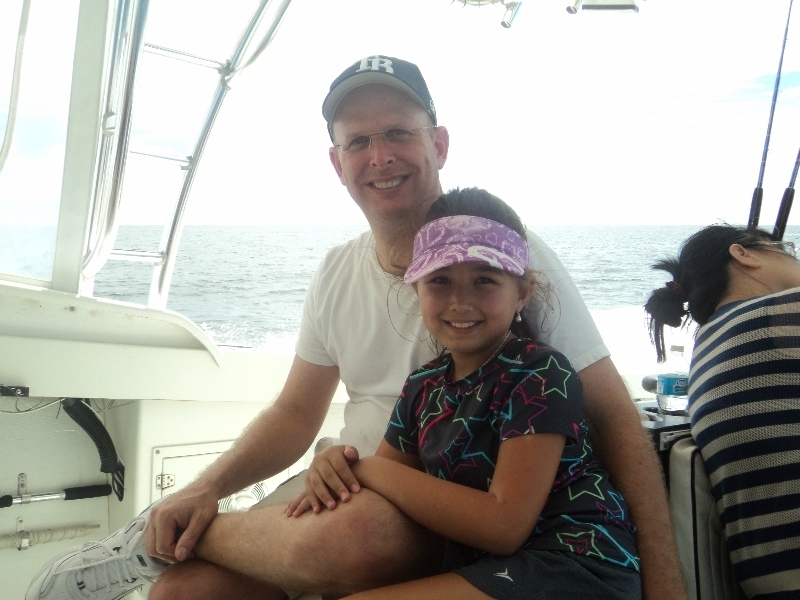 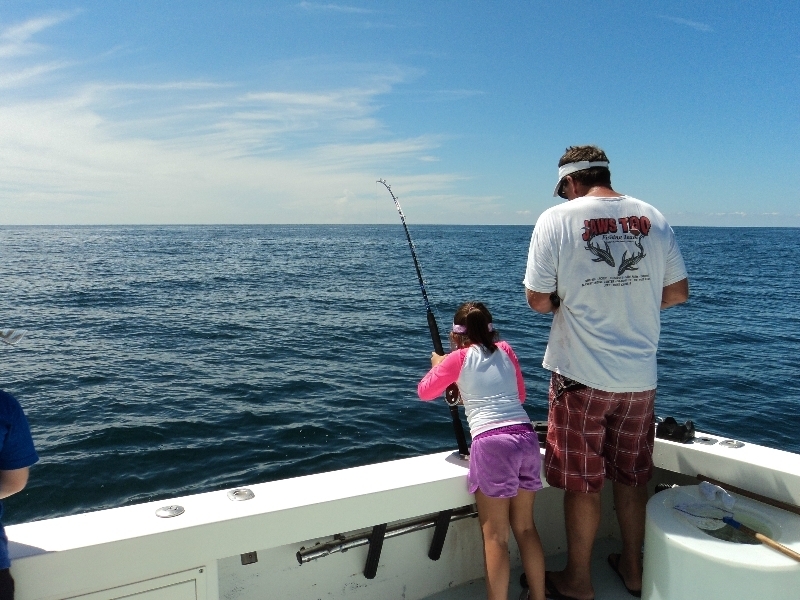 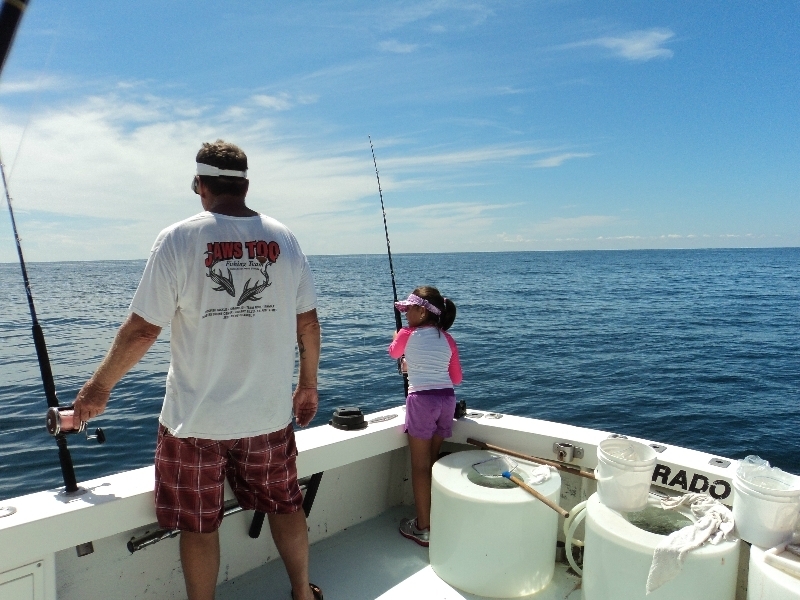 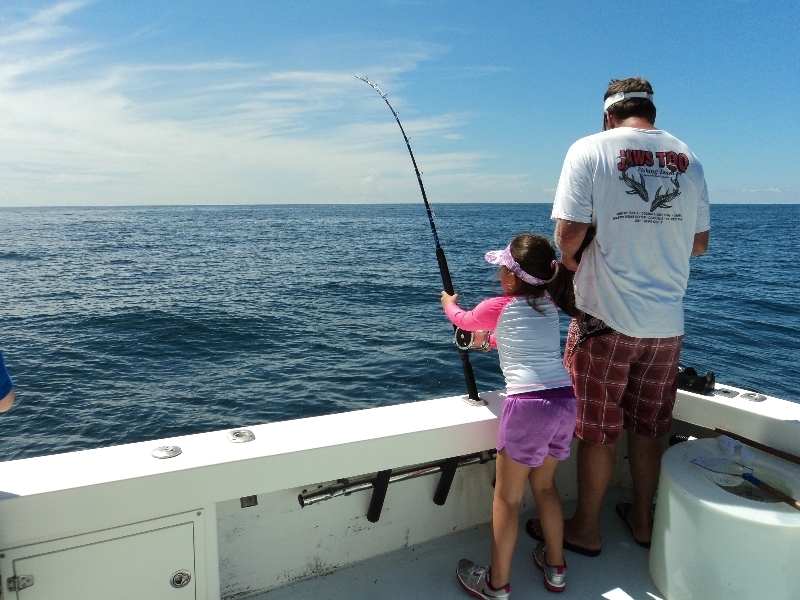 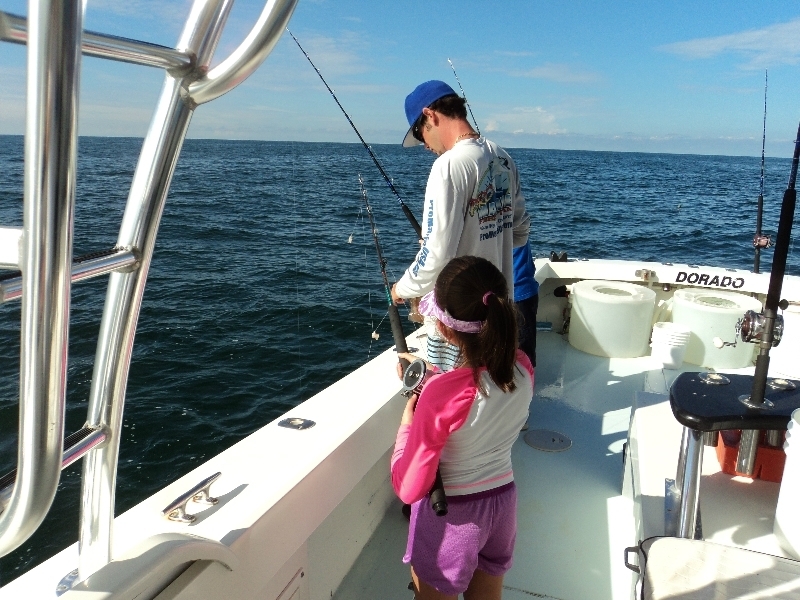 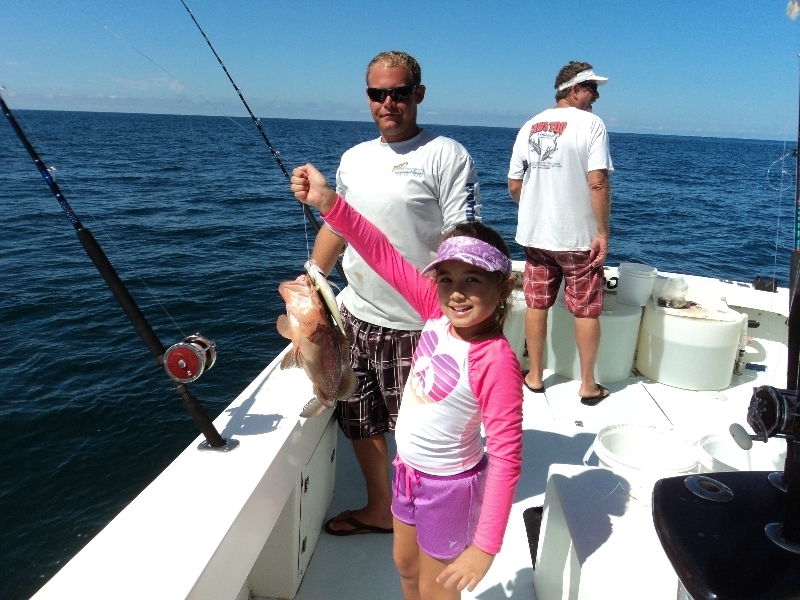 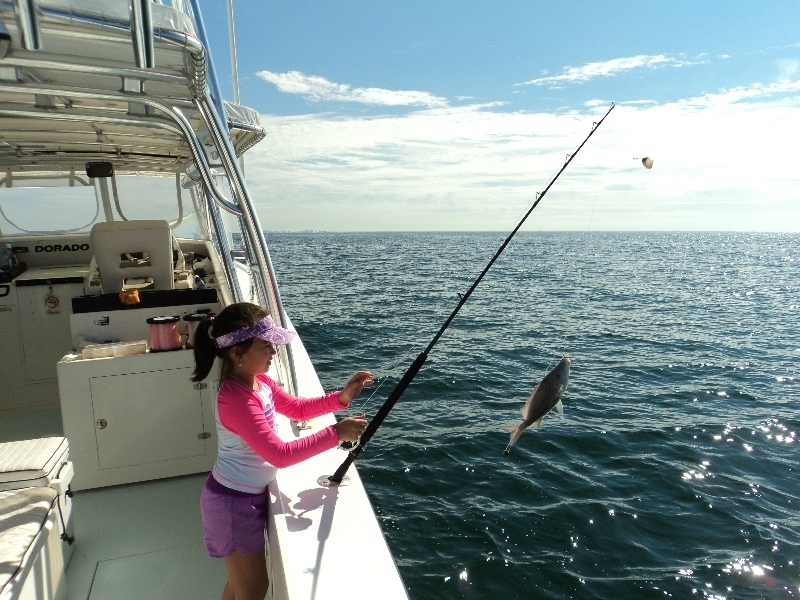 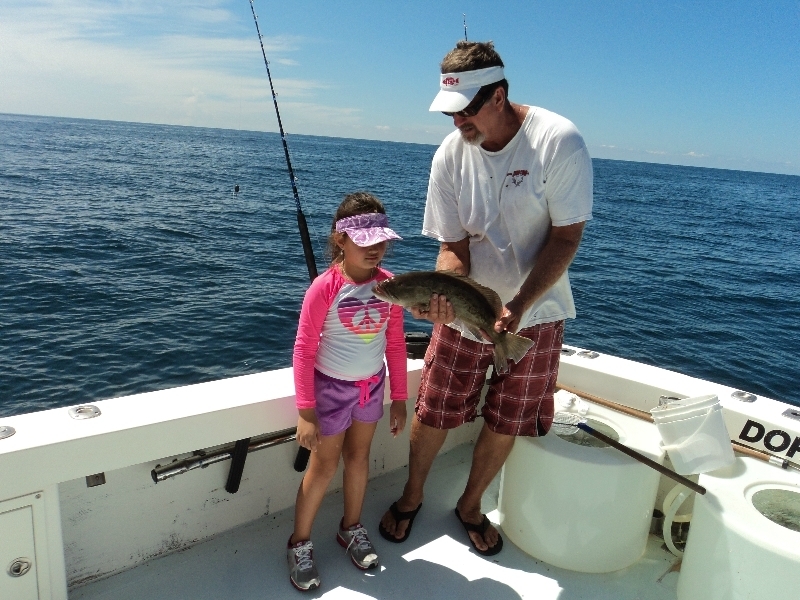 Went out a few miles, first spot, everyone caught several red grouper, Mia put the first keeper in icebox. 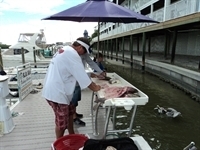 Tylus soon put a nice gag in shortly after. 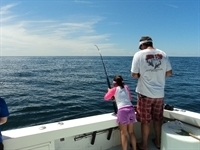 After trying a few spots, the bite backed off some, but around early afternoon, we hit a ledge and BOOM - the bite was fast a furious. 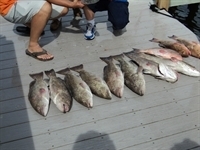 I put 3 nice gags in the box, Mia ended up with 4 keepers as well. 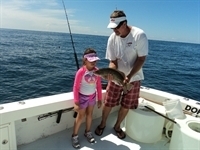 She caught 15, if not 25 fish on this trip. 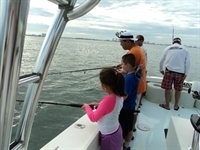 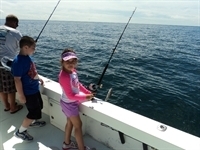 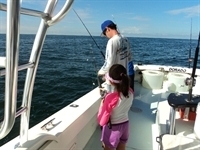 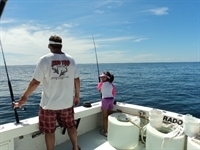 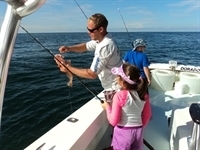 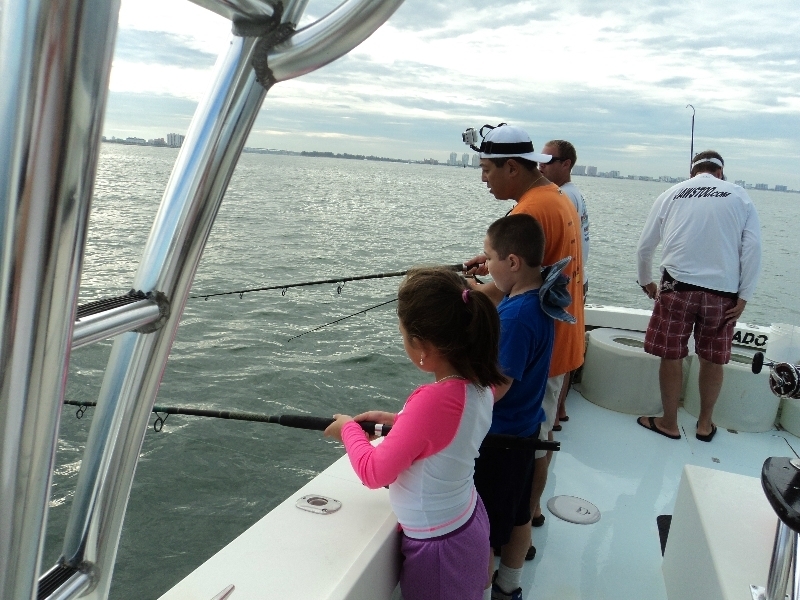 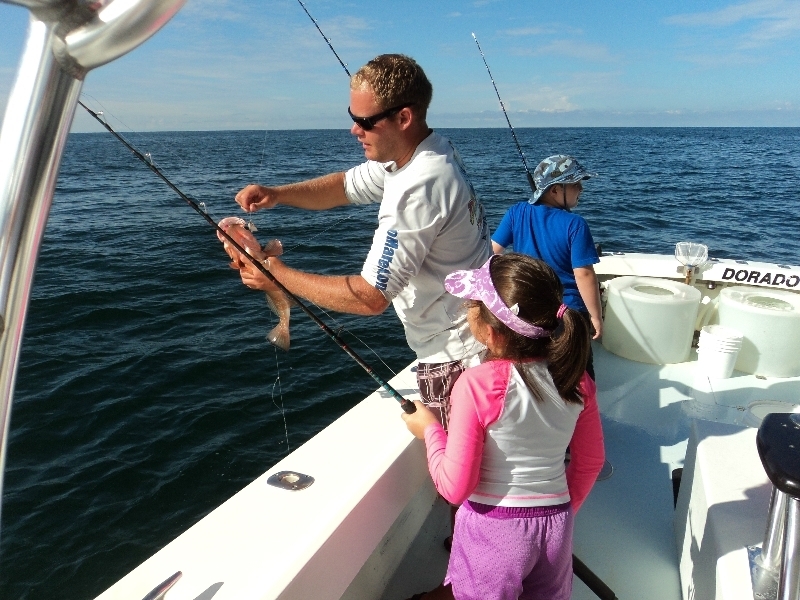 This child does not know what fishing and not catching is... Had a great time - thanks to Capt Dave and his crew - we had a great time.